PeopleQuiz - Trivia Quiz - Joan Crawford: "Mommie Dearest"
Trivia Quiz - Joan Crawford: "Mommie Dearest"
What do you know about the life and times of Joan Crawford? 1. In what film did Joan Crawford star as Fred Astaire's dancing partner? 2. What actress played Joan Crawford in the 1981 film, "Mommie Dearest"? 3. After Carole Lombard died in a plane crash during a war bond tour, Joan Crawford starred in a movie originally slated for Lombard. What was the name of the movie? 4. Joan Crawford was the original choice to play the part of Karen Holmes in the multiple Oscar-winning film, "From Here to Eternity." Instead the role went to Deborah Kerr. What happened to Crawford? 5. For her role in what film did Joan Crawford win her only Academy Award? 6. With what Hollywood legend did Joan Crawford have a long-running feud? 7. 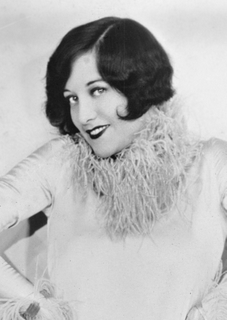 What rock band wrote and performed the 1981 song, "Joan Crawford"? 8. What role did Joan Crawford play in the the 1962 film, "What Ever Happened to Baby Jane"? 9. Joan Crawford starred in eight films with Clark Gable. What was the last one? 10. Joan Crawford's fourth husband, Alfred Steele was chairman for a large soda company. When he passed away in 1959, Ms. Crawford was elected to fill his vacancy. What was the company?